standard by American Nuclear Society, 01/01/1994. 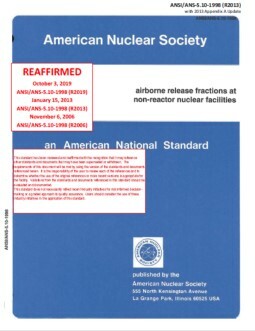 standard by American Nuclear Society, 04/01/2005. standard by American Nuclear Society, 11/04/2014. standard by American Nuclear Society, 05/11/1998. standard by American Nuclear Society, 01/01/1982. 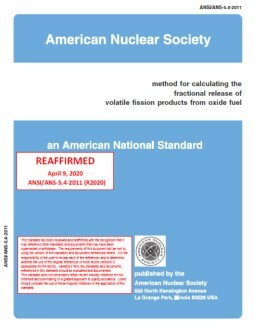 standard by American Nuclear Society, 05/19/2011. standard by American Nuclear Society, 01/01/1991. standard by American Nuclear Society, 12/12/1989. standard by American Nuclear Society, 02/11/1999. 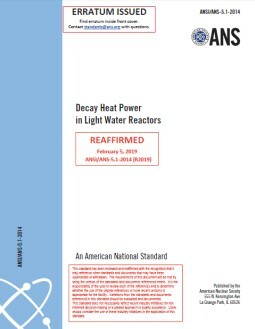 standard by American Nuclear Society, 2013.